A very important characteristic of Shetland Sheep is their beautiful wool, upon which the world- renowned Shetland wool industry was built. It is one of the finest and softest of any UK breed, with an average fiber diameter of 23 microns. Highly variable, the Shetland fiber can range very from an incredibly fine 15 microns fiber found around the neck to a coarser wool as great as 36 microns to make rugged, warm fabrics like woven tweeds and Fair Isle Knitwear. Shetland wool is soft, yet strong and durable, and is a delight to spin. Traditionally, the finest of the Shetland yarns, spun from selected neck wool, were knit into lace shawls so fine they could be drawn through a wedding ring! Fleeces usually weigh between 2 to 4 pounds, but 5 and 6 pound fleeces are not uncommon. Typically, on the Shetland Islands, the fleece staple length is 2 to 4 1/2 inches. In some flocks, however, longer staple lengths of 6inches are observed. In some Shetlands, the wool will shed in late spring. For generations the Islanderss" "rooed" or pulled the wool off by hand during this period. This tendency toward molting, along with a double coat and a rich variety of natural colors is associated with primitive breeds. Shetland wool comes in one of the widest ranges of colors of any breed. Besides the *White, which dyes very well, other colors include *Light Grey, *Grey, *Emsket (dusky bluish-grey), *Shaela (dark steel-grey resembling black frost), *Musket (pale greyish-brown), *Fawn, *Moorit (Dark Reddish-Brown), *Mioget (Light Moorit), *Dark Brown and *Pure Black. There are these main colors as well as 30 markings, many still bearing their Shetland dialect names. 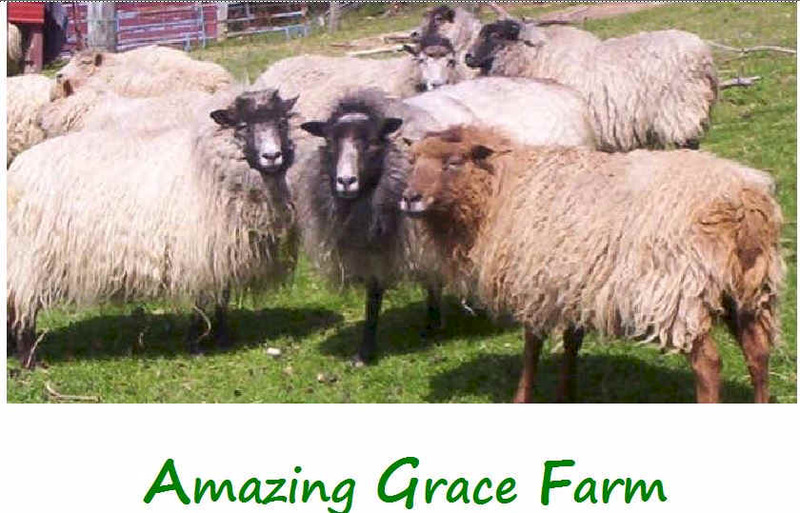 Our Shetland Flock consists of fine fibered ewes, rams, and wethers with gorgeous fleeces in a multitude of colors including: Musket, Mioget, Moorit, Black, Emsket, Cream, Grey, and Shaela. We also have a spotted line of Shetlands and many of our sheep have beautiful and unusual markings. Our fields are truly a rainbow of Shetland Colors!